Sillimanite is a usually white, pale-green or brown orthorhombic mineral occurring as long, slender, fibrous crystals in metamorphic rocks. 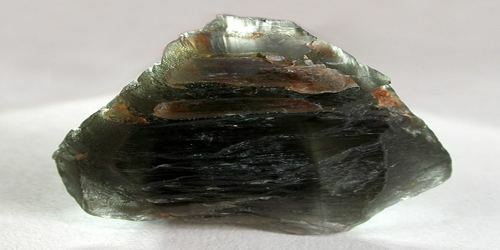 It is a polymorph of andalusite and kyanite, but can form at higher temperatures than either of these. Its chemical formula: Al2SiO5. Sillimanite was named for the US geologist and professor, Benjamin Silliman (1779-1864) of Yale University. It is exceptionally rare, and a very beautiful stone. Sillimanite is found in two forms. One is clear and glassy, and the other is silky and fibrous. When it is found in its fibrous state, crystals occur in long slender prisms in parallel groups, resembling fibers, and this material is often called fibrolite. Collectors prize the fibrous crystals, but the glassy crystals are the ones used as gemstones. Sillimanite has been found in Brandywine Springs, New Castle County, Delaware. It was named by the State Legislature in 1977 as the state mineral of Delaware by suggestion the Delaware Mineralogical Society. 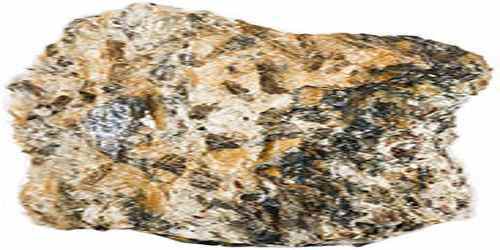 Natural sillimanite rocks cut into the required shape and size are used mainly in glass industries. Sillimanite is the best raw material for the manufacture of high alumina refractories or 55-60% alumina bricks. But its use on large scale is not possible due to its fine grading and high cost. Dumortierite and mullite are similar mineral species found in porcelain. Sillimanite can range in color from colorless to white, yellow, blue or brown. Crystals have a distinct pleochroism, showing pale yellowish green, dark green, and blue, from different angles. Some crystals demonstrate a cat’s eye effect. When polished as cabochons, they glow mysteriously like a cat’s eye at night. These crystals make beautiful rings. 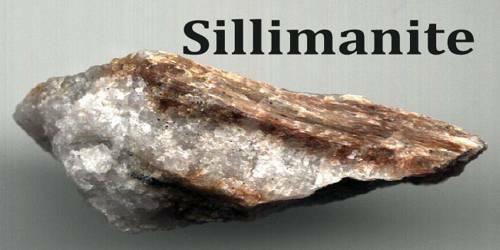 Sillimanite is a brittle stone, rating a 6-7 on the hardness scale. It is a very difficult stone to cut; therefore only skilled lapidaries should attempt to do so. 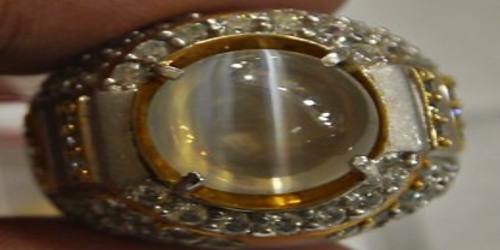 It is a vitreous, and transparent to translucent stone. Sillimanite is one of three aluminosilicate polymorphs, the other two being andalusite and kyanite. A common variety of sillimanite is known as fibrolite, so named because the mineral appears like a bunch of fibres twisted together when viewed in thin section or even by the naked eye. Sillimanite occurs typically in schists and gneisses produced by high-grade regional metamorphism. It is a great stone for someone who is trying to complete a task that seems overbearing and impossible to finish. We tend to get tired and lose excitement, when we work on something for too long. Wearing sillimanite allows the wearer to remember the felling of joy we get, when finishing a task that is important to us.